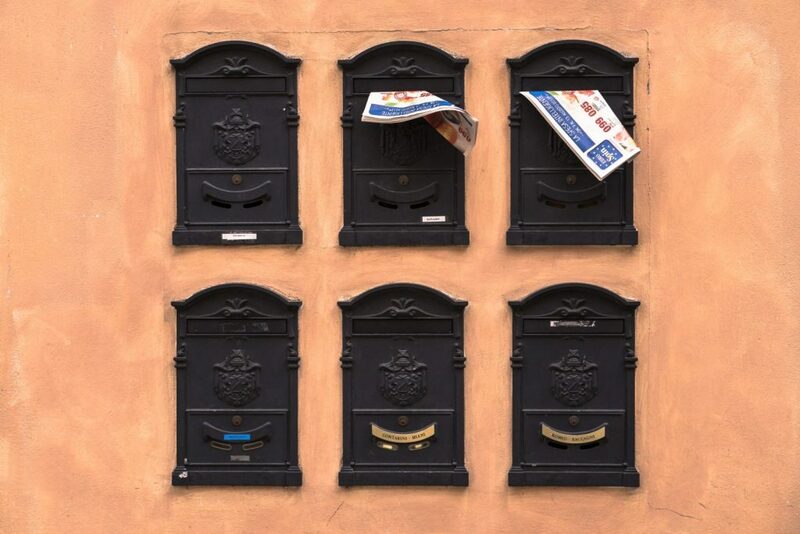 Home » Blog » Do Leaflet Drops Work For Small Businesses? Well in this article I can hopefully help you make a well informed decision about leaflet drops and how they can potentially help you and your small business gain extra leads in the local area. Leaflet drops or flyer drops can be an extremely effective way to quickly boost short and long term business with a local area. Not only can an effective leaflet drop campaign be great for helping gain exposure for your small business, but it is extremely cost effective too. You can create and print good looking leaflets or flyers for virtually next to nothing if you choose a professional graphic design company. Before you rush off to print your next 1000 leaflets you need to read this.. There are quite a few things to consider before starting your first or new and improved leaflet campaign in your local area. If you don’t address these points early on in the campaign the whole thing can be a costly and useless exercise, leaving you thinking leaflet advertising is worthless. So take some notes and make sure you use this. How to decide what my leaflet / flyer should look like? This is a simple but easily one of the most important points to consider. If you think targeting a particular neighbourhood down the road is a good idea. Think who lives their? What would they want to see? For example, if you were a window cleaner targeting a neighbourhood that is predominately 65+ you will need a very simple, professional and informative leaflet. For a younger neighbourhood you would need a more straight to the point the leaflet with a few more pictures and less writing. People can’t be bothered to read anymore so adjust your leaflet design accordingly to your target audience. Briefly explained above but consider age, gender, life cycle stage (are they single, young couples, married, etc), neighbourhood classification, etc. Where will the best place be to you find your target audience? Once you have clearly identified your exact target audience and understand what they would want to actually see in a leaflet, you can move onto thinking about these next few points. What do you want to achieve with your leaflet? Do you want an increase in sales, revenue, profit, exposure, get more people visiting your small business website, etc? Decide what you want and then tailor your leaflet around that requirement. Will your leaflet / flyer have a time limit? If you put prices or pictures on your leaflet / flyer it can become outdated and leave people with the wrong information when the time comes for them to enquire. How many leaflets will you need to print to achieve your goal? How big or small will your leaflet / flyer be? What information or pictures need to be on your leaflet / flyer? Where are how will you distribute your leaflets and flyers? When you have answered all the questions above and properly thought about each answer in detail it will enable you to understand the fundamentals for your personal leaflet drop campaign. You won’t be one of the people who still ask themselves do leaflet drops work for small businesses. It will help you reduce your costs and save you time. Being a small business owner myself I know how important time can be and how little you seem to have in the day. Plan your leaflet drop for your small business carefully Great. I have boxes of leaflets and flyers, what do I do now? One of the main challenges of started a leaflet drop for your small business will be distribution. You need to make sure your leaflets get into the hands of your target audience and don’t become lighting paper for the cold winter months. One of the best ways to distribute your leaflets and flyers is to gather a small team of close family and friends and ask if they would help out one evening or weekend. I know you’re probably thinking why would they waste their time doing that for me? Well if that’s true maybe consider getting some new friends? What do you want your target audience to do? (call, email, visit your business website, etc. If you don’t have a business website set up then here’s a great article you can read titled “the reasons why I need a website for my small business”). Make sure you leaflets are tailored around your target audience. Have conversations if need be (this helps build a relationship with the person instantly). Give them free valuable information, content or special offers (consider your requirements for the leaflet drop and if a discount could hinder future success). Collaborate with other businesses / shops where you target audience will ‘hang out’ (for example, if you’re targeting older people consider small coffee shops and cafes). Identify neighbourhoods where you target audience live and mail drop, mail drop, mail drop. Support and sponsor a local event. Visit county and trade shows. TIMING is key! (For example, if you are a window cleaner you wouldn’t go and start a leaflet campaign in the winter because it’ll rain 2 minutes after and make the windows dirty again). FOLLOW UP! If you get a call or enquiry from someone please follow up with them until you get a definitive answer. These are some tips that our team have given to help some clients of ours over the years. They work. They take time but they work. If you are still thinking do leaflet drops work for small businesses then you need to read this article back through because they really do. It’s a mixture of common sense and being prepared to put in a couple weeks of boring work delivering / sorting out your leaflets. However, leaflet dropping isn’t for everyone and every business. There are plenty of other ways to gain exposure and potential customers in your local area. Take a look at this article I posted about how to get instant leads for your small business.